A marvelous astronomical event will soon be upon many of us living on Earth. Just after midnight, during the morning of December 21st, a total lunar eclipse, the last one of the year, will be visible throughout most of the world. This is the second of two lunar eclipses to occur this year, but the first total lunar eclipse since February 21, 2008. Observers in western South America and North America will have an excellent chance to view the lunar eclipse from beginning to end since the moon will be nearly directly overheard in these locations. While some of the eclipse will be visible throughout most of the world, only those situated in western South America and North America will see the eclipse from start to finish. Most of Africa and Europe will be experiencing moonset during the eclipse’s progression, but portions of the eclipse will be visible when the moon sets at dawn. Only Scandinavians living in the north will be able to catch the entire event in Europe. For observers in western Asia and Australia, you will be able to see parts of the eclipse when the Moon rises at sunset. None of the Eclipse will be visible from the Middle East, southern and eastern Africa, or southern Asia. 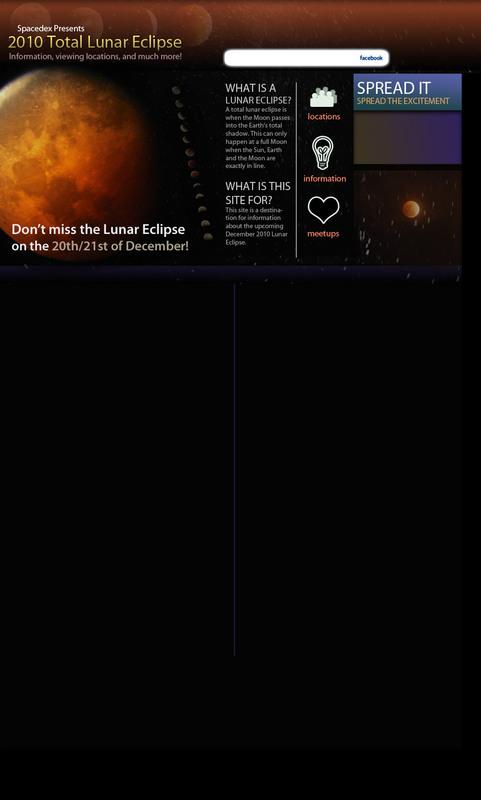 For specifics on the status of this stunning and rare experience, locate your location below take a look at our in-depth section for more information about lunar eclipses. How do I observe a lunar eclipse? Is it safe to gaze? Full Moon. The astronomical stage is set for a rare and glorious event for many. What is a lunar eclipse and why does it occur? The moon is a rocky body that doesn’t produce any light of its own. Instead, the moon appears to shine to our eyes due to sunlight reflected by its surface. Every day we look up at the moon, it sports slightly different appearances. Sometimes it’s completely lit, or a full moon as we know it. At times it’s not lit at all due to its illuminated side being pointed away from our planet, and we’ve come to know this as a New Moon. These changes in the appearance of the moon are known as moon phases and occur because the Moon orbits planet Earth approximately once every 29 and a half days. As the Moon encircles the planet, the altered position of the moon along with the addition of the Sun leads to daily changes in the way we see our only satellite. A lunar eclipse can only occur during a Full Moon, and only when the Moon passes through a segment of Earth’s shadow. The shadow of the Earth is made up of two nested cone-shaped parts, the penumbra and the umbra. The penumbra, or outer shadow, is a zone where Earth blocks some of the Sun’s rays. The umbra, or inner shadow, is a zone where Earth blocks all of the Moon’s direct sunlight. If the Moon passes through any of these shadows, we see one of two types of eclipses. A total eclipse of the moon occurs when the Moon passes through the umbral shadow. In contrast, a partial eclipse is seen if the Moon passes through only a portion on the umbra. Post on the pages for any location to see your comment appear below. Above are excepts of recent questions, experiences, and lunar eclipse viewing locations posted by you and others.